A lot has been written these past few months over the search for the perfect location for David Beckham‘s new professional soccer stadium to be built in Miami. Various locations were mentioned and the South West corner of PortMiami was going to be the preferred option… until a few days ago, when County commissioners rejected for PortMiami to host the new stadium. This county-owned land is a valuable piece of property which is being under used at this point. Development plans are not confirmed yet but there is a chance that mixed-use commercial properties be developed there. 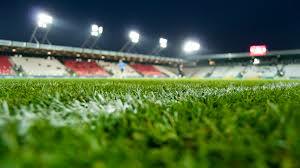 A few days ago, the Beckham Group revealed the new plans for a soccer stadium that would be built in a new location; on the boat slip located between the American Airlines Arena and Museum Park in Downtown Miami. However, considering that this piece of land was supposed to become a park, the appointed Arquitectonica architects recently included expanded green spaces East of the Arena, to the new plans. 8.5 acres of new park land will be added there while 4.2 acres of park will be removed where the stadium will stand. City officials and supporters of the new stadium are working hard to find a solution that will please ( almost ) everyone, as there are major economic, cultural and social impacts related to this endeavor. The Beckham Group would pay for the construction of the stadium ( estimated at $250 millions ) as well as the filling of the slip to be able to build it. The City, which owns Museum Park, would most probably lease it to the Beckham Group. 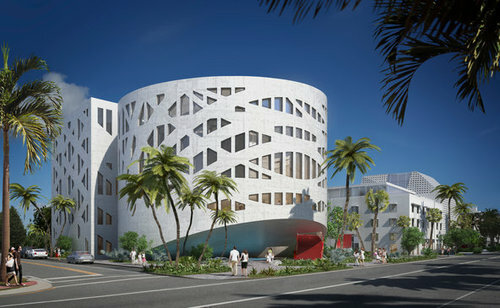 As The Miami Herald reported, the long-planned Museum Park, which was supposed to be seen from Biscayne Boulevard and sit along the street would be disappearing. Most of what pedestrians and drivers would see as they pass by would be the 100-feet high stadium wall. No additional parking has been planed so far, which raises the concern for parking on a game night. I was assured via Twitter by the Miami Major League Soccer that Miami Heat games would not be scheduled on the same evening then the soccer games. But isn’t it already challenging to find parking in Downtown Miami when there is a Heat game ? Coming from Europe, I welcome the idea of having a soccer stadium built in Miami. I just wonder how the parking, traffic and lack of green space visible from the street will be handled by Miami residents and visitors once it is built. The county residents will still have to vote to approve this project in November. Here’s this exciting time of the year again, just 2-3 days before the Art Basel Miami Beach week begins ( this year : December 2-8th ), when Miami and Miami Beach are still fairly quiet but trucks bringing art and tent installation materials are already blocking the roads here and there causing massive traffic. Visitors are arriving. However, museum exhibits and educational programs, artist studio and art collection tours, over 20 art fairs and hundreds of parties start on Monday December 2nd. An average of 50,000 visitors are expected, from all over the world, trying to get a grasp of the multitude of exhibits and events taking place in less than a week . Too much to see in such a little time but getting a share of this year’s feast of the senses ( 12th edition already ) should be good enough. 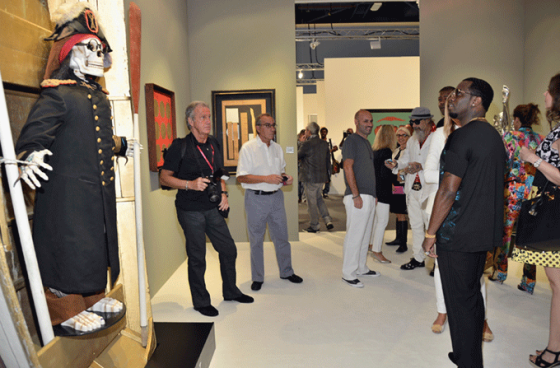 Most of the art fairs and exhibits will take place between Miami Beach and Midtown/Wynwood. 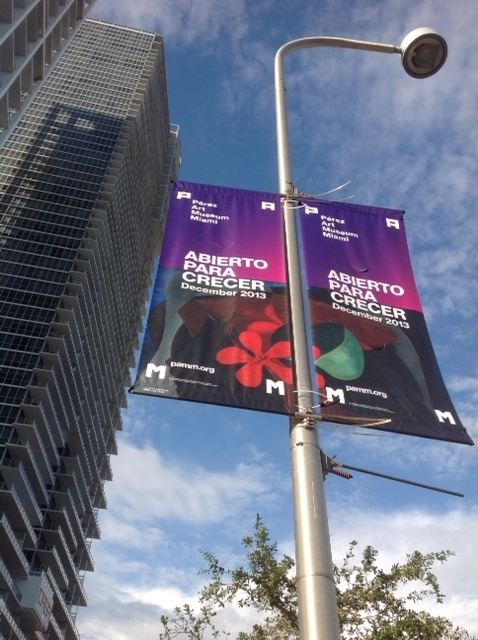 This year’s highlights include : the first edition of Brazil Art Fair, showcasing Brazilian galleries ( Just South of the Design District ), The opening of the new PAMM or Perez Art Museum Miami ( facing the bay, just left of the American Airlines Arena ), which access is free on the week of December 2 for Miami-Dade residents, offering an exhibition of work from Chinese artist Ai Wei Wei ( It is suggested to check the museum website to find out about access and parking ), artist talks at the Art Basel Miami Beach fair ( Miami Beach Convention Center ) with Berlin/Copenhagen-based artist Olafur Eliasson ( December 5th, 3 pm ) and with NY/LA-based artist Doug Aitken ( December 5th, 10 am ), the YoungArts organization exhibits and installations ( at the YoungArts campus, previously known as the Bacardi building, 2100 Biscayne Boulevard, Miami ) and an exhibition on “The art of looting” and “What happens to looted art after a regime is ousted ?”, held at The Jewish Museum ( 301 Washington Avenue, Miami Beach ). To find out about this week’s key events : here or there. I write about things happening in Wynwood from time to time and today I would like to write about what Wynwood should become. I came across a fascinating article recently published in the European version of The New York Times; now named The International New York Times and I realized what Wynwood could become : one of the tech hubs of the South East of the United States, a neighborhood fostering creative initiatives, just like Shoreditch in London. I am in London as I write this post. 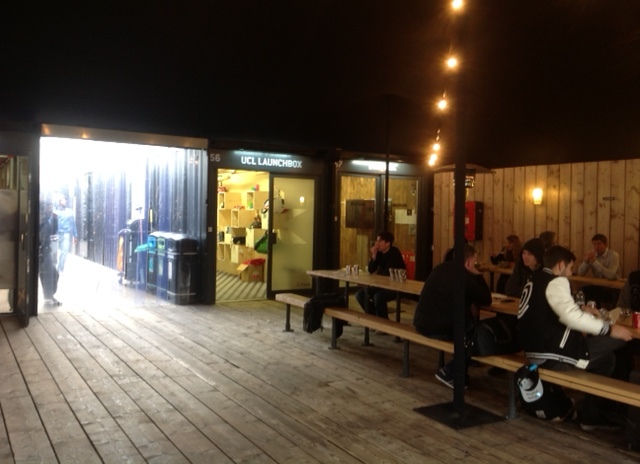 Therefore, I decided to visit the Shoreditch area, located on the East side of the British capital. How extraordinary to walk around the streets where old buildings from the beginning of the 20th century and the seventies are standing next to pop-up art galleries, fashion stores, wine bars. Building facades are covered with multicoloured graffitis and recently modernized office building host a variety of start-ups and communication companies. 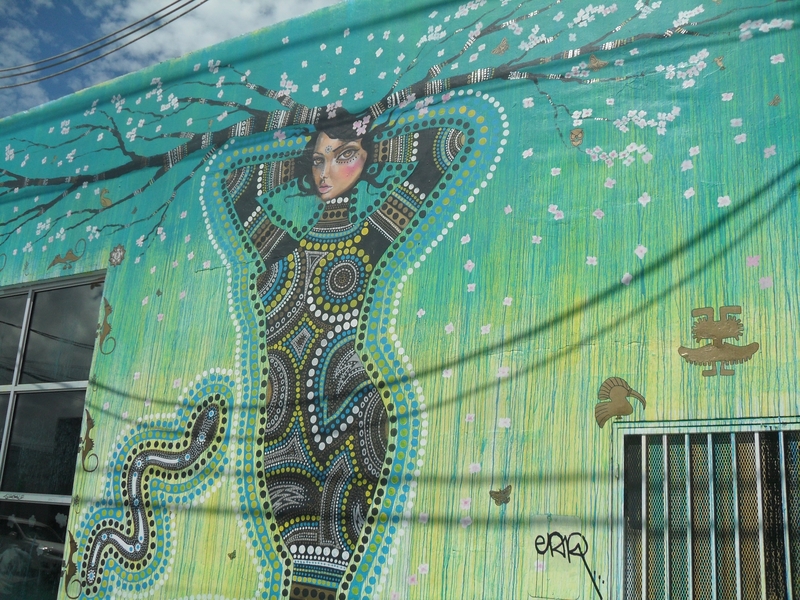 People walking around the streets are young professionals and bohemian-looking individuals and I could not help myself thinking that I was witnessing an accomplished and well thought of version of Wynwood, the art district of Miami. Well, I would actually love Wynwood to become like Shoreditch in London, a place that has the ambition to become one of the most artistically and technologically creative spots in North America. 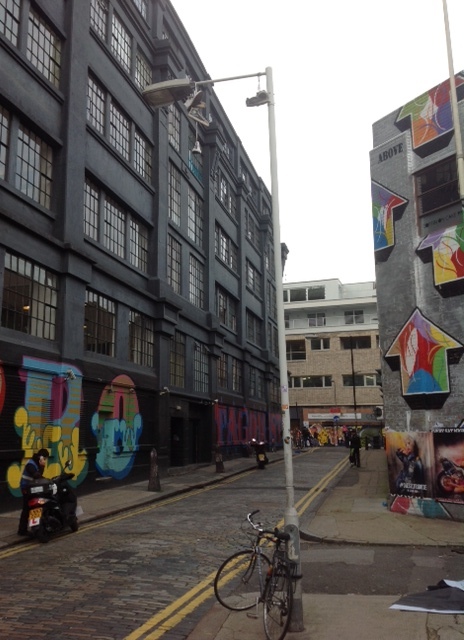 Shoreditch used to be filled with abandoned warehouses. It is now the place where startups like Lyst ( website allowing people to follow their favorite fashion brands ), Houstrip ( vacation rental website ) or Mind Candy ( publisher of the successful online game for children “Moshi Monsters ” ) have opened their office. distressed buildings in order to attract tech companies as big as IBM and Microsoft as well as startups and event firms. I believe that this is what we need to create in Wynwood : not just another “cool” area of Miami, but a place that is supported by the city, the county, as well as not for profit organizations, local developers and venture capital companies to nurture its creative soul and attract the tech companies and entrepreneurs of tomorrow. It already hosts wonderful companies like the Miami Light Project, The LAB Miami, just to name a few. We need to have a vision to help other start-ups and art organisations getting established in Miami in order for our community to thrive. Following a series of urban development construction projects, offering a mix of residential and commercial real estate all over Miami-Dade County, comes the proposed “Grove Bay” plan, which aims at revitalizing the Coconut Grove waterfront while enhancing public access to water. Voters will be able to decide if they wish the proposal to move along on November 5th. 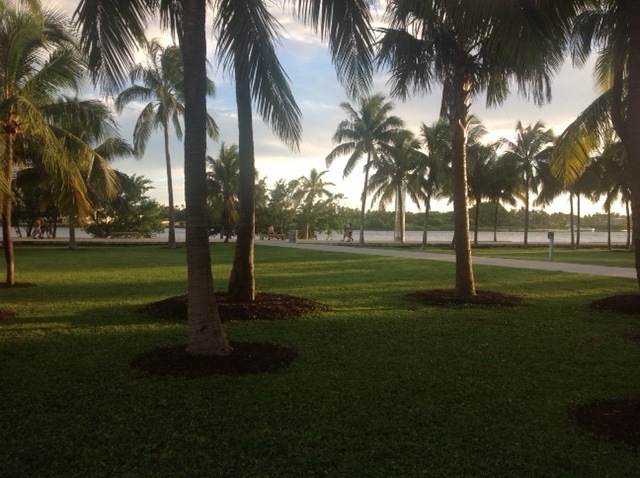 The project involves modernizing the cluttered Coconut Grove waterfront area, along South Bayshore Drive and Biscayne Bay. The leases of current Scotty’s Landing and Chart House eateries are up and it’s probably time to change the dining scene. The proposal includes replacing these restaurants by a steakhouse and a seafood spots, the old boat hangar by a new boat storage, tearing down the Coconut Grove convention center to replace it by a 14-acre park, adding approximately 60,000 sf of retail and a city parking garage. The developers who won the bid are those who built the successful Fresh Market and Grove Harbor Marina and are planning on spending $18 millions on this project. This beautiful section of Coconut Grove is in serious need for a facelift and creating a waterfront promenade would be more than welcome. This would benefit residents living in the nearby condos such as Grove Hill or Grovenor House as well as visitors. However, the Grove Bay plan is raising many passionate debates. The ones who are in favor of the project are underlying the fact that Coconut Grove and South Florida residents are dying to have more waterfront dining locations and saying that the area needs more green spaces. Those who are fighting it claim the project will transform this old vibe section of the Grove into an overbuilt mixed-use development where water will become less accessible than expected. Miami is changing everywhere and fast. It is quite a challenge to keep up with the pace of these continuous changes. Some neighborhoods change from one month to the other. 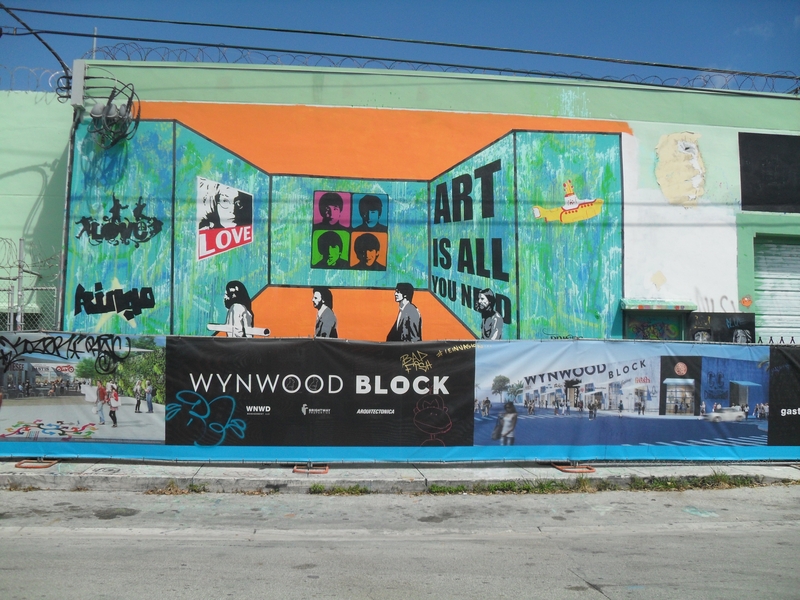 This is the case for Wynwood. 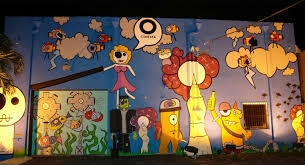 If you avoid the sometimes asphyxiating crowds walking all over the area during each Second Saturday evening of the month, during the Wynwood Art Walks, you can enjoy the area for its bohemian style while seeing just a few people walking around. 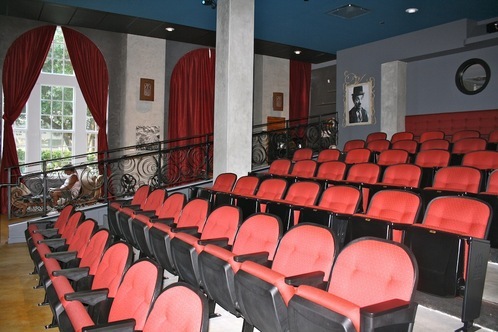 Places like Panther Coffee, Joey’s, Morgan’s as well as reputable contemporary art galleries such as David Castillo, Pan American Arts Projects, Dot 51, Alejandra Von Hartz and Waltman Ortega do attract art lovers, students, artists, those who got tired of South Beach and people increasingly working in the area. However, the area is opening to other players than art galleries : a Samuel Adams beer brewery will be under construction soon and Wywnood Block, a corner block located on NW 2 Avenue, between 26th and 27th Streets, will feature a mix of retail tenants from restaurants to jewelry stores and possibly a book store, to open around March 2014. 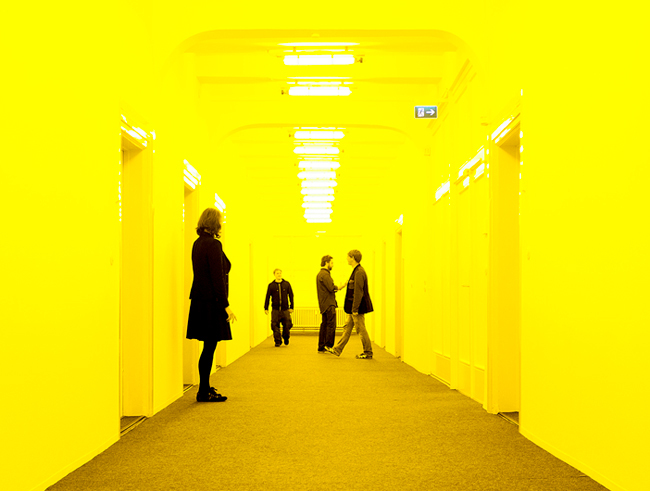 Art Galleries may see their attendance grow as the area is becoming more diverse and less “underground”. I had a conversation with the person in charge of looking for tenants for Wynwood Block and told him I was hoping he was not going to sign leases with big retailers…to have this area become like any mainstream area in any city. He said they were trying to focus on independent retailers and trying to maintain the artistic soul of Wynwood when picking their tenants. As the area is growing, the prices are growing too. Wywnood Block is offering a $40 NNN price per square foot per year, which is higher than what used to be paid for until just a few months ago. It is time to buy or lease there before as prices are going up fast. It is also a good time to sell, while there is a frantic energy floating around the neighborhood and still space to create great urban developments.